Chocolate Shoes and Coffee: Book Giveaway: "How to Allow", Celebrating our 200th post! Book Giveaway: "How to Allow", Celebrating our 200th post! Author Susan Shearer Young's book "is dedicated to inspiring you to create real life miracles through harnessing the Law of Attraction and using a simple system of daily rituals to Allow in your natural Well-Being." Maybe you've wondered how to put "The Secret"
and law of attraction into practice. The book will help you put your life in a whole new perspective--I have definitely discovered this myself. Once you read this book you'll find tools to help you enjoy life and see an entirely new perspective even when those tough days and times happen. Susan is a logical, helpful, and humorous writer. I have loved reading her book, and I plan to re-read it before returning to teach this fall and highlight what resonates--what I want to remember and apply. I'll be highlighting a lot! and a graduate of Harvard Law School. leaving a great resource for you! 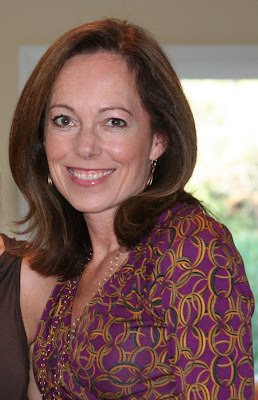 ~visit here and check out Susan Shearer Young's blog posts. ~ Leave a comment on this post, saying what you found of interest in her blog posts. ~ Giveaway contest ends @ midnight EST, August 15, 2011. ~Winners selected through random.org and announced Tuesday, August 16th, 2011. Interesting! I liked her 67 seconds concept! AND I tried to post on your what color should I paint the dresser post...I see it in a orange lacquer! I learnt that making things happen comes from within. The fish hook by the way cames from a little store in coastal country Australia. I hope to source them for my online store one day but as yet have not sorry. 68 seconds to joy is intriguing. a very thoughtful giveaway ~ thank you. This book sounds wonderful! 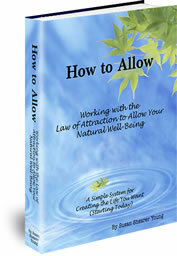 I am a big believer in the law of attraction but I struggle with applying it consistently. I love how Susan lays out a road map for deliberate application. Thoughts become things... I'm thinking I'm gonna read this book! I liked her blog post on how to deal with fear, and how to deal with it - "And then, thankfully, and here’s the good news, you can reject whatever those thoughts are as completely bogus." I've been through this, and this is how I handled it. So it's good to see I was doing the right thing :-) Well it did work after all. Would love to be part of this book giveaway!!! Thank you! We'll be in touch with details. The contest is closed. Thank you for entering.